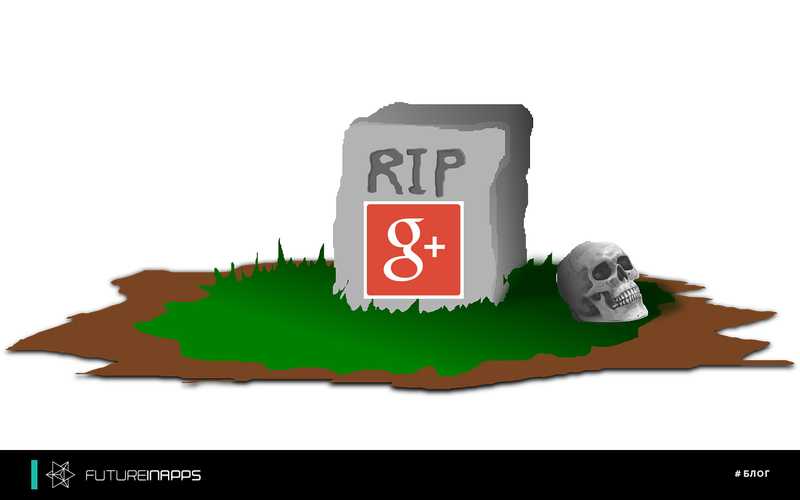 The end of an era has come: Google + is finally dead. April 2, 2019 - the day when Google officially closed its initiative on social networks Google +. The creation of new accounts was disabled in February, and the current Google + profiles were able to receive their information, images, saved items until today, after the platform began to delete all the content. “On April 2, your Google+ account and all Google+ pages you created will be closed, and we will start removing content from Google+ accounts,” the company said in late January. Of course, the SMM monsters had to advance on this social network, although, based on the “popularity” of Google+, these efforts would not bring the returns that advertisers usually count on. Therefore, the title of this article is only irony, because many smmschiki may not even notice the death of this social network. It will take a couple of months to completely remove all content, so users can still have access to their content. However, all Google + entries will stop working for other services. Google decided to kill Google + after an error was discovered that revealed the personal data of nearly half a million users. Google revealed information about hacking data much later than what happened, and shortly after this announcement, another security bug - more than 50 million users were disclosed. Since Google + has never been popular in the social world, Google + ultimately teamed up with YouTube to help attract interest, but this step was met with a backlash from YouTube users. Google Photos and Hangouts were extracted from Google + and turned into separate services. Even with the changes, by 2015 the social platform was almost dead. Most of the Google + content is likely to be saved for posterity thanks to the efforts of the Archive Team. But the network itself is finally officially dead. Goodbye Google +, it was fun! Futureinapps company reminds that it is engaged in business promotion in successful and lively social networks.